We are one of the leading magento website development companies in Ontario. We like to work closely with every client to establish their needs. As website developers we understand that if you have a webpage that you want customers to make online purchases on, you need a method to achieve this. So we have trained ourselves with Magento: an open source e-commerce platform with high powered content management system, in order to fulfill these needs. With Magento, we can customize the shopping experience for your customers and allow them to have an awesome time on your website! Everyone loves having and awesome time, it makes people want to come back for more; which is what you want, as it will possibly generate more profits for you and your company. 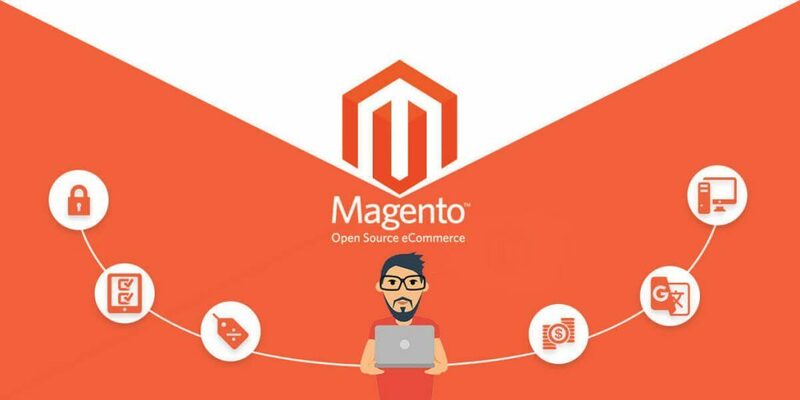 Although free, personalization of Magento comes with its complexities and that is why as a serious business, they will need to go for third party web development services of an experienced developer from websiteToon who will do the following. Clarify the brand message-Our web developers will make sure that Magento’s brand is clearly defined and that the website created articulates the brand effectively. Plan a SEO strategy-Our web designers will recommend what keywords need to be used for the website so that searching can be much easier and fetch new clients. They will also improve client’s browsing experience with reviews, images and wish lists. We understand the importance of website development for corporates. The corporate boardroom, meeting venue and training facility present different situations. We appraise each stage of web development to ensure 100 percent satisfactory user experience together with best practices for quality and customer service. You will be able to have a core set of products and then have multiple stores using the same products under the same platform. This way, time will be saved and inventory will be effectively managed. If you have particular Magento requirements for your online store and the available Magento features do not fulfill your needs or do not suit your business, then Websitetoon is the only name you need to know. We can create a custom web design for your e-commerce portal. We would be more than glad to help you add those customized features to your website through our high-quality Magento custom development services. We achieve this by either editing your existing features or developing new features altogether. We understand that your business has its own individual needs and for that reason, we follow your specifications and create a Magento custom design that will suit your business and help you advance in the existing competition. We charge reasonably for Magento customization and customize your store according to your specifications. We do not involve third parties. This is in order to provide you with total assurance of best-optimized website customization with work transparency and in-depth understanding. We provide advanced and extended support while integrating the functions with other Magento extensions. We construct fast and practical solutions. We love working with speed. We use the most reputable manufacturers to supply us with software and test them to ensure that our clients are satisfied. Our website developers are qualified and certified by top industry third parties. We operate internationally and our team of web developers are always available to service the needs of our clients. We allow our clients to review their order histories, setup default billing, track order and shipping when they create accounts or subscribe to newsletters. Custom-made solutions – Each and every solution we provide is designed to fulfill the objectives and targets of our clients. We engage our clients in the creative process of website development because it is an art and the more time we spend on it, the more clients realize that we care about their brand. We do not speculate or make unsubstantiated decisions in identifying and integrating website design solutions for the businesses of our clients. We see to it that all our customers will talk highly of us and recommend our company to other potential customers who require the same services. Presently, more than two million merchants entrust and run their online businesses using the Magento platform. We understand that it is very important for each business to modify options, configurations, functionalities, and ambiance according to their individual stores. We are available for consultations, whether you want discreet shipping features, proficient Magento installation or even if you are in need of custom module development. Our developers can transform and automate your business processes from nuances so that it becomes more suitable for you and your customers. We are a one-stop shop for your website development and customization needs. We hand over complete ownership of your project after we complete work on it. Prior to that, we run both manual and automated tests to make sure that our customization work befits your particular system. We avail committed non-technical as well as technical staff to address all your concerns and answer any questions you might have. We generate plan oriented and preferred solutions as opposed to expecting technical inputs from our clients. Our rates are very competitive and our customizations are industry standard. We provide enhanced user-experience and assure you of a speed test. Our workflow is transparent as well and hidden charges are not synonymous with us.